"I had the BEST experience with Compass Real Estate ever! We had to move back to St.Pete because my fiancé got a job as GM of the Don CeSar Beach House. My friend who lives in Isla set everything up with Becky as we needed a place for a month until our house tenants were out. From the get go Becky was on top of everything even when I called her last minute on a Friday, she always returned our phone calls. She was absolutely wonderful to work with. I will tell you the truth if we ever go to rent our house out I would use Compass... Please give Becky KUDOS from Rich and myself. Again I couldn't have had a better experience and from this I have given your number out to about 7 people who need rentals and one interested in buying. Thank you Becky for such wonderful service and always with a smile! You were a delight to work with!" Becky, Thanks again for the awesome service with everything. "We chose Compass from a referral of one of our acquaintances who has stayed on the island in a rental through your firm. My dealings with your folks was fine and professional. Actually it has been easy via phone and email... The best part of our experience was the weather which was fantastic this past February. The unit is right by a swimming pool and has a great view of the bay. My wife and I renewed the rental for next February in the same unit... We look forward to coming again next year." "We have used Compass for many years by recommendation from owners...I did recommend you twice, for rental and also for someone looking to buy...loved the beauty of ISLA"
"excellent service beautiful condo great location peaceful environment"
"Reliable, friendly and courteous. Lovely location. Compass is a great agency to use for Isla Del Sol winter trips. Fewer lizards this year. Wonderful." "Smooth reservation process and great service from Becky. Good people to work with and had a good experience." "We have been renting from Compass for several years now and everything have been excellent...Everything always go very smooth..How great the service is..So quiet with so many condos there..."
"We have been renting in Isla for 22 years, we start with Brooks, went through Capablo and have been with your company since it has opened. Your people are very professional and the service is impeccable. We have sent you several customers and will continue to recommend your service. We will be back April 1st to stay in the same unit." “Very clean, convenient to everything and owners very responsive! Everything about the condo was wonderful. Beautiful views, a great well supplied gym, a very nice and clean pool. The condo was close to everything and so convenient. The owners stayed in touch and answered most questions before even being asked! It was truly a pleasure to stay there. If I need to go back to St. Petersburg you can be sure I'll stay here again!" "Couldn't have been better.We have been dealing with Chris for 22 years and staying at Bahia for 23 years and have had nothing but great service from Compass and excellent accommodations.Always have been treated as friends." "wonderful apartment and beautiful setting. Very impressed with Compass. Loved the whole area." "Everything was perfect. Will definitely return to Bahia again. Becky was especially helpful and made it so easy for us to enjoy our time there...would call her to book in the future." "Delightful stay. Our first time renting at Isla del Sol and was very pleased with the community and our condo. The view was beautiful, furnishings nice, and unit is spacious and comfortable. 2nd bedroom is a little small but my 2 girls made it work. Kitchen is a bit dated but seemed to have all the kitchen items we needed. Watch out on wet tile floors in the condo and tile to the parking lot. Can be very slippery. Bring quarters for tolls! Our favorite was watching the birds on the water getting their fish. Very entertaining!" "Absolutely fabulous. We had stayed in the area before in another apartment in the block next door and were not disappointed to get this flat, it actually exceeded our expectations. The owner had ample beach seats and sun umbrellas for us to use, the owner really seemed to care about the guests. The flat was bright, clean, spacious and very well equipped for a holiday let. OK we're from the UK and not used to sitting on a warm balmy balcony eating our breakfast and watching dolphins, fish and rays frolic in clear water in 90 degree heat but this was fantastic. We would definitely recommend this and most definitely book again." “Wonderful Experience - Plan to Do Again! This apartment was an excellent find, there was nothing to complain about; the owners of this apartment have thought of EVERYTHING you can possibly need & used and supplied it. Tastefully decorated, clean and comfortable for all in my group. I would stay again in this same unit without a thought! It was a bit difficult to find coming in at 12 midnight and the security tried to be of help but after driving around with us a few times, we were able to locate the unit. Despite that initial hiccup everything else went smoothly." "I’ve rented from Compass for the last many years and have always been satisfied with them. I find the staff friendly and usually responsive to any complaint I might have—of which there have been few. I’ve already recommended you to friends who may be looking for a rental in that area and would continue to do so." All is in order, and almost as perfect as the sunsets from the balcony. So far, the only thing I've bought for the apartment is a bar of soap for my shower!!!. No, I did not expect you to provide that. Seriously, all seems to be in A-1 shape. You had best be careful; tenants will expect perfection. Thanks for the warm welcome to Florida. "... my experience with Compass Rentals has been superb/ Becky is most helpful; the apartment is clean and beautiful; the willingness to respond to questions constant. I strongly recommend Compass Rentals to any one seeking accommodations in the St. Pete area." "I would be happy to comment on my visit to Isla del Sol. First off, we are not new to the Island and past experiences have conditioned us to expect a very pleasant stay. We chose Compass because the selection of units available met our needs. I think the biggest surprise was the genuine caring and professionalism of the staff. Becky Harrington in particular went the extra mile in assuring everything was right with our unit and in answering questions about the property and the area. She handled the minor problems that generally arise with rentals in a very expedient and professional manner. I would most certainly recommend Compass to family and friends. My wife and I are planning another stay with you next year. Without a doubt, our stay and experience with Compass rates a 10. Thank you!" "We choose Compass Rentals for location and size of condo. The queen and king bed were a plus. The elevator, garbage chute and grocery cart were wonderful conveniences! The rental experience was wonderful from start to finish. Your team was very helpful and informative. Many thanks to them. I actually invited by sister and brother-in-law for lunch so they could see the development and the spectacular views. The views and walking areas were both a wonderful surprise. In rating the experience, I must mention that the unit was a bit older with some signs of age but aside from that I rate it at a 9. Everything we needed was at our fingertips. Many thanks to Compass Vacation Rentals. We hope to be able to return and enjoy your development again." "Very beautiful, large, upscale condo just minutes from multiple beaches. We were so pleased with this rental. It was large, well-equipped, bright and airy and beautifully decorated. The shower stalls were extra large and had excellent water pressure. It is even larger than it seems in the photos and all of the furnishings are quality. We watched dolphins playing from the balcony and enjoyed several nice days around the immaculately clean pool. Rental office is very nearby and their check in and out procedures were easy." "Chose Compass because we found your company to be the best. Everything is always in order and made easy. Not having to worry or be bothered about anything going wrong. You make it easy! The best way to go! Been coming to St. Pete more than 25 years -- had a 2nd home there for years. Great beach and people...I will be back soon!" The Condo is absolutely perfectly clean as last year. We are delighted to be back at Isla ! "Location is great- wonderfully decorated -- wonderful view of beach. I rented this condo in Sept. 2015 and have rented it again in Aug. 2017. It's a great condo very well decorated. Feels like home when you walk in. What a great place, I will probably rent again and again. Close to everything on Gulf Blvd." I was very happy with Compass Rentals. I was referred to you by my friend who has a place at Isla. I am planning on coming back next January... Please keep me on your mailing list. Thanks. "We loved the area and the grounds were so well kept. We would do it again"
"Found Compass via FlipKey & from first contact Becky was very helpful and answered all our questions. The customer service - Becky was very helpful & professional. Would definitely recommend Compass if looking to rent on Isla del Sol. The island was bigger than we expected (& the patio windows were so clean, we thought the patio doors were open!)" "I would recommend it highly. This was our 4th year and we are returning next year. 'Nough said." "The Perfect Rental Experience. We vacation every year down in beautiful St. Petersburg, FL have been renting through Compass Vacation Rentals for the past 10 years. We have always received excellent customer service from the Compass associates each year we return. The various condo units we have stayed in have been very clean and well-kept, including the swimming pools and overall complex. These units also offer a wonderful view overlooking the water and are only a short drive away from multiple restaurants, shops, etc. on or near the beach, in addition to downtown St. Pete. Very conveniently located!" "We have used the services of Compass Rentals on several occasions in the past and always found the staff very professional and customer oriented. Becky and Lisa provided us with excellent service. The best part of our vacation was the beautiful weather, sunshine every day and the peace and quietness of the well-groomed resort. I would recommend Compass to others because the staff is very professional and helpful to their customers. No surprises, we have been vacationing at Isla for over 13 years. We love the beach at Fort Desoto, it's a real gem!! I would give Compass at 10! I provided several suggestions to Becky on how the owner can improve our experience at their beautiful condo!" "Condo extremely clean. Great place to rent and I would do it again. It was beautiful and well kept...Appreciated that so much." "Good morning Chris and the Compass Team,Thank you for the best week of our Florida vacation! As always, the Compass Team took excellent care of us! BV 9-223 is incredible, beautiful furniture, great location, spotlessly clean and an absolute pleasure to come “home” to every night! We have been staying at Isla for many years and thanks to the help of your team we will be back again next fall!" "We have been using Compass for 8 years. The Staff are very friendly and helpful. The unit is always ready for us. Compass helps with any deficiencies. Compass is great to deal with. The rental rates have gone up a lot in the past couple of years - we cut down from 9 weeks rental to 5 weeks in 2017. We have rented for only 5 weeks for 2018." " This was our third time staying with Compass in this location...We were familiar with the area and knew what to expect...the waterfront view from our balcony was the best part of our experience...We recommended Compass to friends; they traveled with us this year and rented their own condo in Bahia Vista...Our biggest surprise this year was seeing Manatee's in front of our unit...We rate our overall experience with Compass as a 10..."
"We have been using Compass for several years. Originally started with them when other real estate rental agencies were slow to respond to our requests. The best part of the rental experience was the communication and knowing ahead of time what to expect as Compass has been very consistent. Use Compass. No surprises. This was our 7th season at Isla del Sol. Don't want surprises. We liked April Black when she was at Compass. We like Becky Harrington even better. She is on top of her game." "We heard about CVR from our great friends who stayed this month with us in the BV 9-224 unit. The organization CVR had to prepared the package, customer service (Becky and Fran). We have been talking to everybody about the island and the nice experience we had there. The view for sure the biggest surprise for us. We would rate our overall experience 10. In fact we are already making plans for next year around the same time. If possible the same unit or another one with similar upgrades in the same complex. Both families are already counting the days to go back. We have been in touch with Fran about any opportunity for purchase and have you guys to manage the units for us. This is just to show you how much we appreciated our staying with you guys." "I chose Compass Vacation Rentals because my parents...worked with you for many years (I think more than 20). I thoroughly enjoy being in Isla del Sol during the winter months...each day is a gift. The staff at Compass with whom I have had contact (Becky, Lisa, Randy, front desk receptionist) is excellent...they are the reason(s) I continue to work with Compass. I have recommended several of my friends to Compass...I rate my overall experience a "10"." "Our stay was great, but wish we could have stayed through the end of March. We used Compass because we have had good experiences with Compass over the past 3 years...Best was the Comfort of the unit including the balcony with such a great view of the bay. Very easy to work with, respond to all requests for assistance or repairs, very friendly and helpful folks at the desk..."
"Compass represented the condo complex we were interested in renting. The person I contacted from Compass returned my calls promptly. Getting the area we loved visiting, price was right and the condo was clean and decorated very nicely. Also knowing we had first dibs on our condo for next winter was great. I passed my contact information at Compass onto a friend that is looking to rent in the St Pete area. I thought the road noise might bother me/us but really did not hear much." "Our second time there, everything was great, would recommend , the wonderful view from balcony, would rate it a 10. Hope to be able to go again." "Friendliness of office staff and quick response to any problems. Thank you to Lisa and Randy. You make our stay comfortable and we feel that you really care about doing it. We're in good hands. We loved the view!" "We chose Compass because of the friendliness and approachability of the people in your office. This was our first experience with long-term rental, and the staff at Compass, especially Becky Harrington-Klinesmith, walked us through the process, answering all of our questions with kindness and professionalism. We have told our friends and family the same thing. I would rate our experience as a 10!" "We had a great experience. We have rented several times and no complaints! I would recommend Compass Rentals to everyone! Hope to return next year." "We wanted to let Becky know how much we enjoyed our stay. It was great. The condo was top notch. Please thank the owner and let them know that we appreciated the opportunity to stay here at La Puerta." "Awesome. Beautiful and modern condo, close to beaches and shopping... I would recommend this place to anyone. The service was first class and friendly." "It was the only company that rented this particular apartment that suited our needs as I am disabled and needed a ground floor apartment. The best part was arriving to a clean and tidy apartment after a long flight. Picking the keys seemed to work OK. It was the apartment that we wanted. The booking seemed straightforward - nothing special. No real complaints." "Awesome Condo. We have stayed at several condos and time shares, I have never felt so secure and at home! The grounds are upkept like they were built last month. The condo is new, modern and upscale. New modern appliances. Very quiet, first floor and easy entry! Ample close parking. Pool is short walk across parking lot. Very very well maintained. Clean restrooms at pool. Hot tub. Security has a presence all the time. 10 min to St Pete beaches. Many stores and restaurants mins away. Just can't say enough, well worth the stay. Will be back again soon. The picture is from the patio on the last evening we stayed." "This is our 2nd year renting a condo thru Compass. Compass makes the rental process very easy. Becky was great to work with. We had an issue with the microwave and Becky handled the replacement efficiently and smoothly. She provided excellent customer service. Rate would be 10. All your staff has made our experience great. We would definitely recommend your company to friends. Thank you for a great vacation..."
"We chose Compass because they are on site and our experience with other agencies had not been that positive. The best part of the experience was the helpful attitude of all the staff we encountered, especially Becky. We would definitely recommend to friends and family saying that the company was honest, professional and went the extra mile to ensure a comfortable and relaxing holiday. The biggest surprise was the unseasonal weather this year! Definitely a 10, despite the weather. "We chose Compass Vacation Rentals because a friend recommended them. They had heard good feedback about your Company The best part of our rental experience was how smooth the process was. The staff was so friendly and made our experience easy. I would definitely recommend Compass to any of our friends and family. Compass would be who we recommend just for our own smooth experience and the efficiency of the process you have set up. Our biggest surprise about our stay was the area itself. Beautiful surroundings and so well maintained. I would rate our experience with Compass as a 10." "I am a realtor and Compass was referred to me by another realtor. The convenience to our home that is under construction and working with Becky Harrington- Kleinsmith made our move in easy. I plan to recommend you to family and friends visiting the area. Thank you Becky!" "We enjoyed a perfect month at Bahia Del Mar! From the ease of the rental procedure to checkout, this was a flawless vacation!! Bahia Del Mar is a tropical paradise close to everything we love about Florida. The condo was clean, roomy, well-furnished, comfortable and situated just steps from the heated pool. 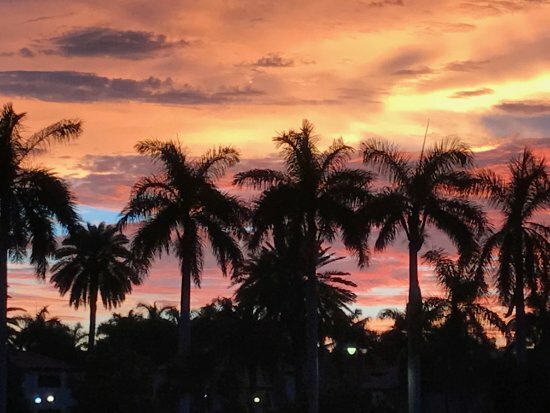 We enjoyed a daily 3 mile walk to St. Pete Beach via the bridge as well as walks throughout all of the complex with palm trees, flowering shrubbery, fountains & lakes and bay views. The condo had comfortable beds, plenty of cookware to prepare all of our meals yet we were close to some delicious restaurants. The bathrooms and walk-in closets were large. The pool was great and we met many wonderful travelers there. Honestly, 30 days of sunshine while watching our daughter play softball at Eckerd College just 5 minutes away!! Perfect!!" "We chose Compass because we feel you are the number one agency for rentals on Isla del Sol...The best part of our rental experience would be coming back to the nicest location in St Petersburg it is so relaxing...The staff at Compass are so friendly, knowledgeable and helpful. Wish the weather was better for us but, January is Florida's winter, we know. "Beat our expectations hands down! We rented in Bahia del Mar, Vista Verde West, 6020 4- 121. This was a quiet corner location with a beautiful view of the golf course. The condo was very well equipped and in immaculate condition. It was so comfortable with a superb bed and luxurious settees. Large TVs were a pleasure to watch at night. Gulf beaches were over the causeway, which itself is architecturally beautiful, especially if viewed from underneath, but its views as you drive over to St Pete Beach are stunning, with the Don CeSar hotel looking magnificent as it towers over its neighbouring buildings and its pink gleams in the St Pete sunshine. Our favourite beach was Pass A Grille, accessibly by a left turn at The Don CeSar and down a road that is being reconstructed, can be bumpy and dirty,but it is well worth the trip for the beach is one of the best in the area. Compass Rentals were very good to deal with, making sure all was well with us in our property. Highly recommend them as a letting agent in Isla del Sol, the area in which Bahia del Mar is placed." "This was a quiet corner location with a beautiful view of the golf course. The condo was very well equipped and in immaculate condition. It was so comfortable with a superb bed and luxurious settees. Large TVs were a pleasure to watch at night. Gulf beaches were over the causeway, which itself is architecturally beautiful, especially if viewed from underneath, but its views as you drive over to St Pete Beach are stunning, with the Don CeSar hotel looking magnificent as it towers over its neighboring buildings and its pink gleams in the St Pete sunshine. Our favorite beach was Pass-A-Grille, accessibly by a left turn at The Don CeSar and down a road that is being reconstructed, can be bumpy and dirty, but it is well worth the trip for the beach is one of the best in the area. Compass Rentals were very good to deal with, making sure all was well with us in our property. Highly recommend them as a letting agent in Isla del Sol." "Very responsive team... These guys know what they are doing"
"You have an excellent inventory of homes, and are very responsive...quick and easy check in and out...This was our fourth year on Isla... always happy to see the palm trees, ponds, birds and beauty of the place...use these guys...they "own" Isla and are very easy to work with...A "10"
"We have been vacationing at Isla del Sol for over thirty years so were aware of Compass and its many rental properties. We were able to secure a choice unit that was in terrific condition. Becky Harrington was most professional and a delight to deal with. Highly responsive to clients’ needs and issues. Prompt response to queries and most pleasant to deal with." "Our stay was good. The condo at Vista Verde East 218 was okay... Beds were very comfortable. Kitchen and baths were functional and convenient." "We felt that the agent who was working with us was committed to finding us a rental that fit our needs. Being able to enjoy our favorite places for an extended period of time. The staff at compass (Becky and Lisa) were friendly and responsive. Convenient location with easy access to beaches, downtown St Pete and area attractions." "Been doing business with Compass for many years. The best part is the reception we received from your employees. It is always the best place for our winter vacations."